Has it ever occurred to you that you’ve earned credit by referring an app to someone? You can earn money without owning a product or providing a service. The affiliate business model works in the same way. A company that owns no product and has no service to offer but still earns revenue? This is where the Affiliate business model comes in the picture. In the affiliate business model, a firm sells the products of other company on their website. The buyers buy the products from the firm’s website, however, the sale is transacted to the merchant company’s website who then pass the commission to the affiliate firm after the order is confirmed. This is how several companies earn without actually offering any product or service. If you’re muddled between different business models, read our blog “Top 19 Business Models That Will Hail the Startups” to have a clear idea on different categories of business models with explanations through examples under each category. 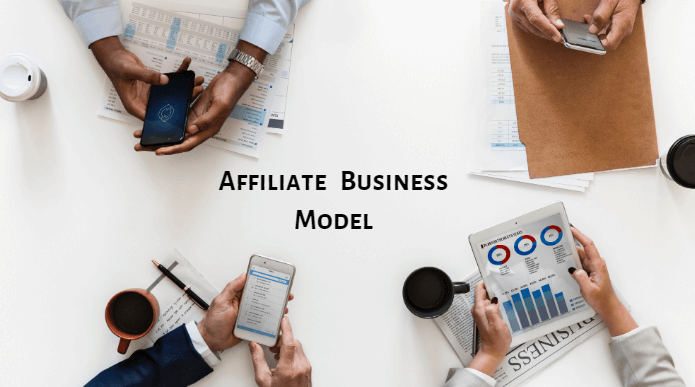 Let’s have a look at what exactly is the affiliate business model? What is the Affiliate Business Model? With the advent of the internet, the affiliate business model has gotten a new height. The internet allows marketers to advertise the products of other firms without buying any of it. The affiliate business model has three factors; the merchant firm, the affiliate firm and the buyer. The Affiliate firm: The Company that sells any other company’s products on their own website without having any access or ownership is called an affiliate firm. This website works like an advertising agency. The Merchant firm: The Company that advertises its products on the affiliate firm’s website is the merchant firm. An individual can also sell his products on the affiliate’s website to increase sales. The merchant has to pay some amount to the affiliate firm as a commission for the sale. The buyer: The buyer is the customer who buys the products of the merchant from the affiliate’s website, with or without knowing about the actual seller of the product. The buyer does not pay any part of the commission to the affiliate website. The affiliate programs, also called associate programs, are arrangements in which a merchant website gives commission to the affiliate website for sending them more traffic or for referring their business. These affiliate programs are beneficial for both and an effective marketing strategy for online sellers. Affiliate networks are the mediator between the individual affiliates and the merchant website. The firm providing the affiliate network tracks all the activity and help affiliates set up the necessary links to their website. Most of the affiliate networks have a help center and a directory website that helps the affiliates and the merchant websites to track their traffic. The more merchant websites you have on your affiliate network, the more affiliates you attract. As the affiliate network offers a large number of affiliate programs being run by the merchant website, the affiliate networks are a real convenience to the affiliate. How the Affiliate Business Model Works? The affiliate business model is a popular marketing strategy used by the merchant firm to increase the sale by selling its products on other websites that are called affiliates. The affiliate firm earns money through earning commissions. The sale is generated when a customer buys any product from the affiliate’s website. Each sale generated results in a commission for the affiliate company. This leads to increased sale for the merchant and brings in cash for the affiliate company. The affiliates are sure to attract the merchants as this also leads to less expense on the customer acquisition and allows them more streams to reach their target audience. This way, the affiliate business model works in a circular motion where the affiliate website displays the products of the merchant when the customer buys the products from the affiliate’s website, the sale is actually processed from the merchant’s website and the commission is paid to the affiliate. The concept of revenue sharing i.e. paying commissions for referred customers is an age-old concept before even the affiliate model or internet were born. To make you gulp this fact, let us take an example of a brick-and-mortar store. When you enter a store, have you ever notices the salesmen start hovering over you so they can help you purchase something. After your successful purchase, they get “commission”. This is how an affiliate program works in the real world. Directly based on an action like a sale called pay per sale (PPS) or pay per lead (PPL). This is when an affiliate is paid when someone lands on the merchant’s website. The affiliate revenue model is famous because it is beneficial for both parties. The merchant website extends its reach and generates more leads and acquires more customers. The affiliate website earns commissions for each activity occurring on the website. Hence the affiliate revenue model is a win-win situation for both, the merchant as well as the affiliate. For the successful execution of the affiliate revenue model, you need nothing more but access to the internet and a website. However, if you think the affiliate revenue model and the advertising revenue model are one and the same, you are highly mistaken. You can take a look at “Top 7 Startup Business Models and Revenue Models for Internet Startups” to have a clear idea of different revenue models. The affiliate programs are run on the affiliate networks by the merchant websites. These programs help the merchant’s reach the audience all over the web. It works like a storefront on all the affiliate’s websites who participate in the merchant’s affiliate program. 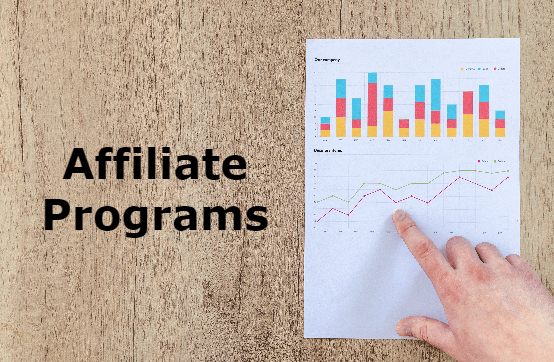 To visualize this process in a better way, let’s have a look upon a few examples of companies running successful affiliate programs. Amazon pioneered the Affiliate business model in 1996 by recruiting thousands of other small websites to generate more traffic on the principal website. Amazon found willing partners among other small businesses, content-based websites and web portals. Amazon is one of the largest e-commerce website today. The Amazon business model is a mixture of several categories of business models. It also follows the Affiliate business model. Today, the Amazon affiliate program is called Amazon associates. It is free to enter an Amazon affiliate program. Any website owner or blogger can take part in the Amazon affiliate program by advertising products of Amazon on their sites by creating links and when the visitor purchases any products through the referred links, the affiliates get a referral bonus. Amazon gives up to 10% commission to each referral purchase. You may also like Unveiling the Facts: How does Lyft Work? Ebates is a well-known cashback and shopping reward company that earns revenue through its affiliate network. Ebates gives a reward of $10 just for signing up on the network. 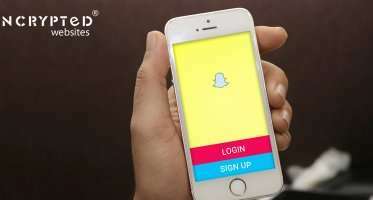 The company claims that the Ebates business model helped the company grow to more than 8 million members. Ebates affiliate program offers $25 cash bonus for every referral purchase and several other bonuses like invitations to private events for influencers and access to insider news and such other gimmicks. Expedia affiliate program is probably one of the biggest names in the travel affiliate world out there! The Expedia affiliate network helps travelers find the best packages. The company offers 5% commission from the Expedia Collect Inventory and generates revenue from further 50% commission on every hotel reservation and completion of stay. Expedia offers a 7-day action referral period, i.e. it gives this time period for visitors referred by the affiliates to convert into customers within 7 days of clicking. The affiliates get paid after this. There are a variety of categories that the affiliates can promote like hotels, cars, flights, etc. Hence, the Expedia affiliate program attracts more and more affiliates with its vast network and exciting offers. Are you keen to execute affiliate business model in your startup? After knowing the affiliate business model from head-to-toe, are you curious to start a business similar to Ebates affiliate network? We at NCrypted provide technical solutions for every problem an entrepreneur might face for starting a startup. We have an affiliate network script which enables you to start your own affiliate network website similar to Ebates affiliate program or Expedia affiliate program. Contact us to know more about this! What do you think about our blog on the Affiliate business model? Let us know more about your perception of our blog in the comment section below. 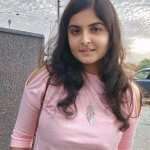 ← A Study on Unique Dating Website: How Does Zoosk Work? i had a big misperception about the affiliate revenue model and the advertising revenue! Thank you for this article. you have explained each and every point in detail!